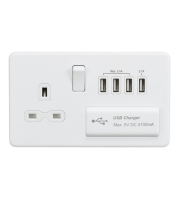 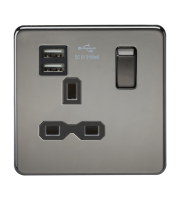 If you are on the hunt for quality electrical sockets then the Schneider screwless range is one of the best of them. 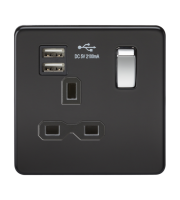 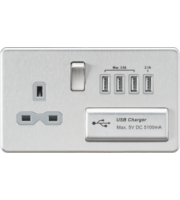 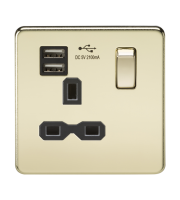 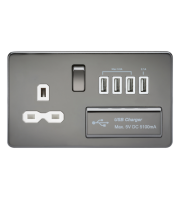 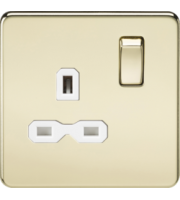 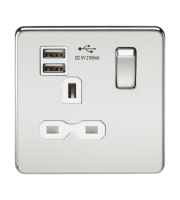 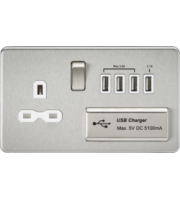 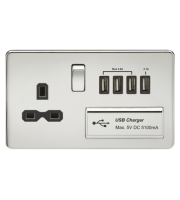 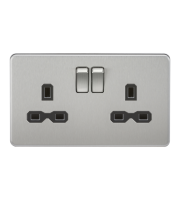 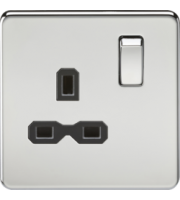 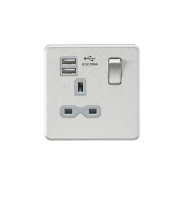 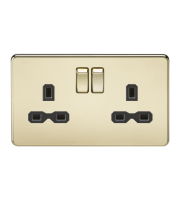 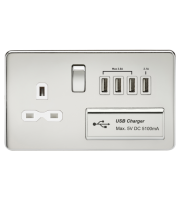 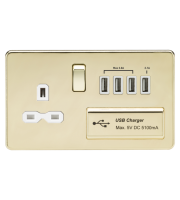 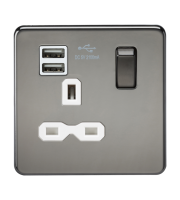 This slick selection of metal flat plates, switch units and sockets will go a long way to completing the stylish look of your home or business interiors. 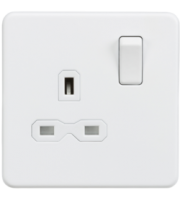 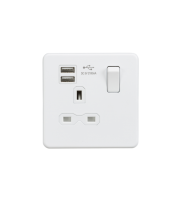 Not only does the screwless feature aid the look and feel of the socket but it also provides a fuss free installation without the inclusion of screws. 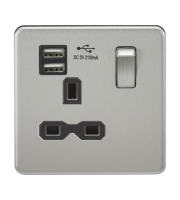 If you are becoming increasingly frustrated with a broken, damaged or out-dated electrical socket then now is your chance to freshen up the look, feel and function of your socket plate by applying the Schneider GET ultimate range of screwless sockets. 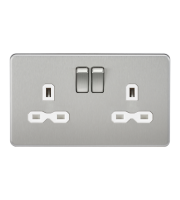 These durable and aesthetically pleasing socket outlets will add the finishing touches to the overall look of your interior walls. Why not install quality and spoil your home with brand spanking innovative socket units. 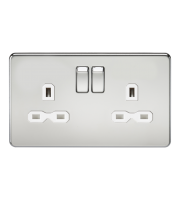 Every socket within this metal accessories range is clearly marked and labelled, giving the user a great understanding of function. 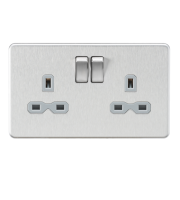 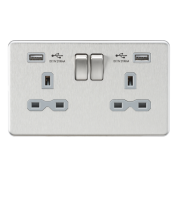 These colour coordinated socket outlets blend the silver of stainless steel with white inserts, red neon lights as well as switch buttons. 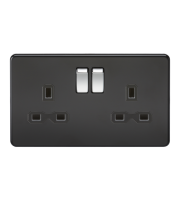 The inclusion of neon lights on switches and sockets gives further indication to users whether the appliance is in action or not, another helpful design feature of these quality Schneider plates and units. 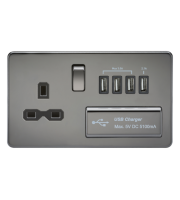 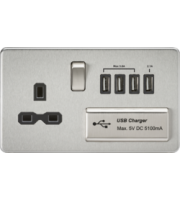 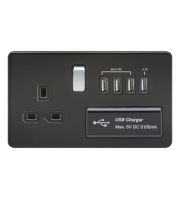 Schneider are now known as one of the most reliable and sought after electrical accessory brands on the market. 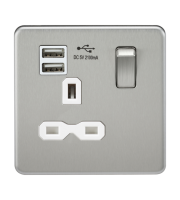 They continue to create stylish and functional products made with quality materials for any homeowner or business owner who is looking to install top range products into the property. 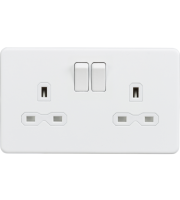 Quit settling for boring, ugly and time consuming units because Schneider Electric are here to provide a convenient and stylish alternative. 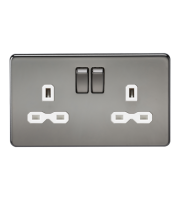 Direct Trade Supplies extensive selection of Schneider metal accessories are sure to do you and your property proud. 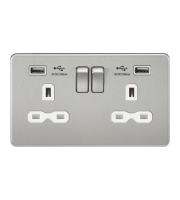 Whether you are looking to install these for your home or business, all of these items were made with care to improve the looks and function of your kitchen. 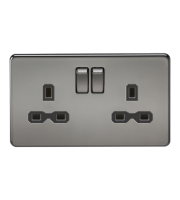 The screwless flat plates and socket units by Schneider are sure to make a grand impression wherever they are applied.